I've been trying to find something to cook for dinner and I'm rearing to have something very Filipino. I don't like the common ones and miss something in particular. 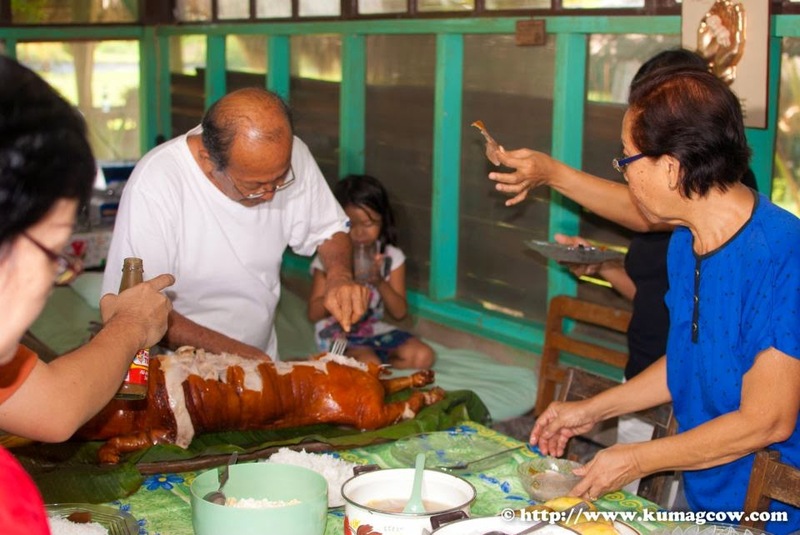 When I was in Negros Oriental in the hacienda of my Uncle, a dish which I haven't been able to taste before was served to us. 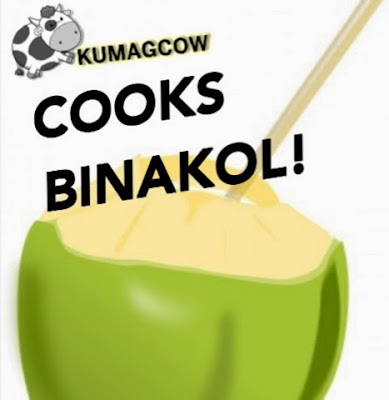 They called it Chicken Binakol. They cooked it around noon and it only took a few minutes to prepare. Here's the recipe. 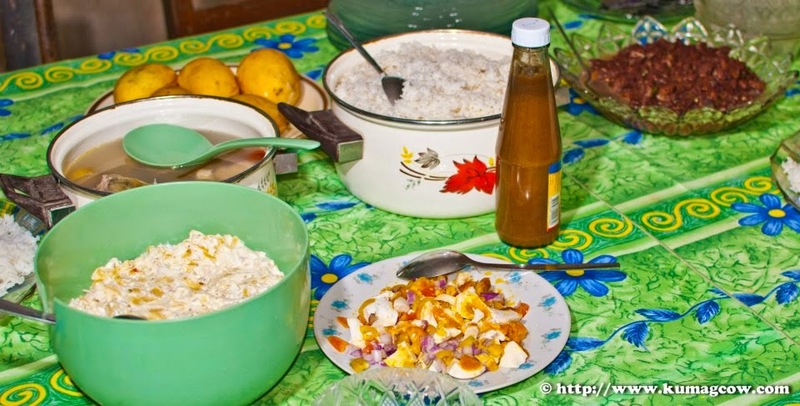 The Chicken Binakol was placed on the top left of this photo, right below the sweet mangoes. I loved it.